Vetter has further optimised the popular mini lifting bags to create a new generation of lifting bags. Vetter S.Tec lifting bags master every rescue operation with ease. Amazingly flat and uniquely powerful. Its dynamic 10-bar lifting power makes it the most impressive lifting bag on the market. 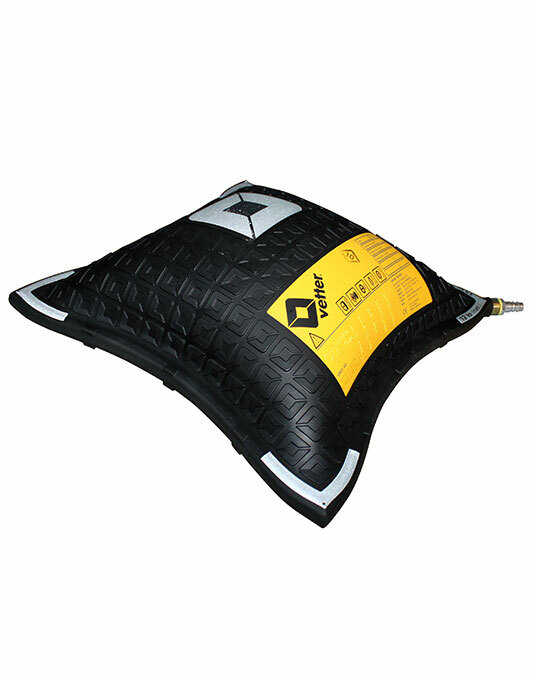 With an insertion height of only 2.5 cm (0.98 inch), our S.Tec lifting bag fits in even the narrowest gaps and openings. Thanks to its intelligent surface profile, you can safely stack two bags. Reflective markings ease positioning in bad weather or at night. 25 % performance increase with the same bag size.